Hummel House Moving uses the latest equipment and technology in structure raising, such a Unified Jacking System, to maintain the total integrity of your building during the procedure. We are also licensed and bonded for your protection. We are glad to give you a free estimate. Hummel House Moving has been moving buildings and houses since 1950. We are the only mover in South Dakota with a certified engineer on staff. With hundred of building raises under our belt, we are simply the best building mover in the Mid-States area. Over time, buildings will settle. There is simply no way to get around it. Hummel House Moving can lift your house to repair your foundation and get your structure back on a level setting. 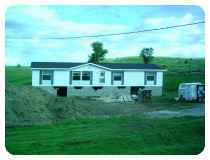 In addition, we can temporarily raise your building to allow for a new basement where none existed, or to repair your existing foundation or basement. Likewise, we can raise your building to provide extra clearance for flood protection. 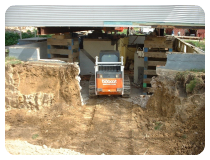 To place a new or replacement foundation under an existing house or building, we first must excavate under the old foundation. As we remove the existing earth, we place supports under the building to strengthen the structure and retain its integrity. 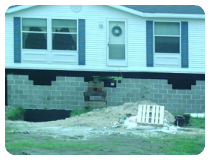 As we progress, we can place a new foundation, or repair your existing one without interference from the building, or worry about damaging it. 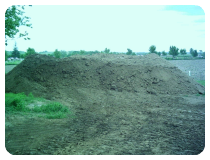 We will separate your foundation from your dirt to make sure we are only disposing of discarded materials. 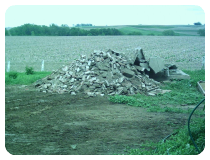 We will also haul away your old foundation and ensure that it is properly disposed.